If only trees could talk! If they could, Wedgwood’s trees might tell tales of life in the neighborhood in the past one hundred years or more. The bigleaf maple at 3158 NE 81st Street is a tree which might have a story to tell. According to Arthur Lee Jacobson’s Trees of Seattle, maples “might well be called our unofficial City Tree” because they are abundant in Seattle. Various varieties of maples were widely planted as street trees throughout Seattle in the early 1900s. 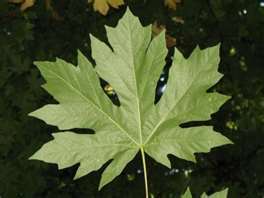 Bigleaf maples are distinguished by their giant leaves, sometimes twelve inches across, and by their massive limbs. A bigleaf maple, planted in an open space where it doesn’t have to stretch upward in competition with other trees for sunshine, will have low, wide-spreading limbs. It is this characteristic which indicates that the tree at 3158 NE 81st Street may have been planted in a clearing next to the log cabin home of one very early Wedgwood resident. 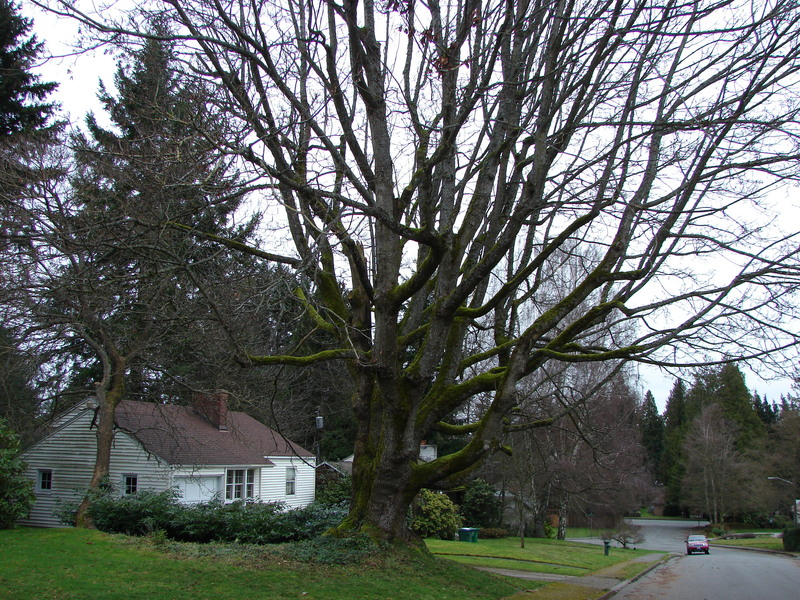 Bigleaf maple tree at 3158 NE 81st Street in Wedgwood. In the early 1900s Charles E. Thorpe acquired the land which later became the original Wedgwood housing tract, from 30th to 35th Avenues NE and from NE 80th to 85th Streets. Mr. Thorpe cleared some of the land to grow ginseng, a plant which was in demand in the Chinese herbal medicine trade. In 1929 Mr. Thorpe sold his land to the Jesuits of Seattle University who hoped to move the university to the site. 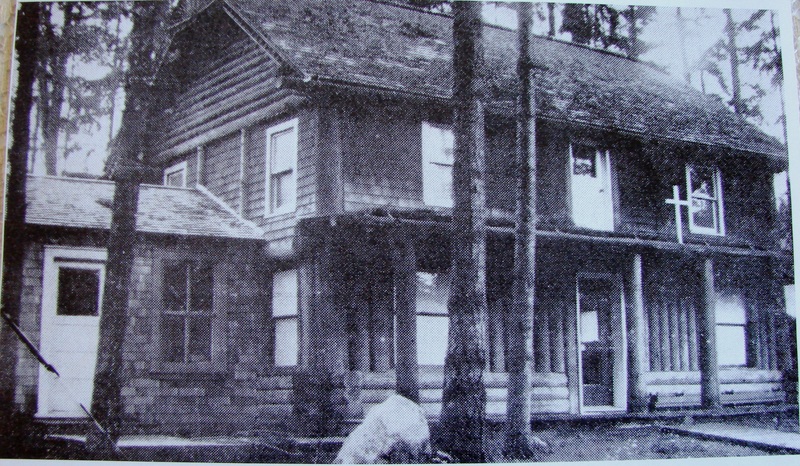 Mr. Thorpe’s log cabin was remodeled for use as a chapel named St. Ignatius, and Catholic Mass was held there until 1940. Then plans to move Seattle University were cancelled, and a new Catholic church was built at 8900 35th Ave NE and named Our Lady of the Lake. Mr. Thorpe’s log cabin became the Chapel of St. Ignatius in November 1929. The small room on the left side was added for use of the priest to rest and change clothes after travelling out from Seattle University. In 1940 the St. Ignatius site was sold to a builder, Albert Balch. Balch had started out in the 1930s as a builder of the View Ridge neighborhood which is just to the south of present-day Wedgwood. After learning the construction business in View Ridge, Balch continued on to do more housing areas in north Seattle. The plat name which Balch’s wife Edith chose for the forty-acre plat was “Wedgwood.” This was the first of Balch’s Wedgwood housing developments. The name gradually caught on and was used by businesses, giving the neighborhood a sense of identity. By the time Balch cleared the former ginseng-farm land and built new houses, the exact location of Mr. Thorpe’s cabin had been forgotten, but the bigleaf maple may give us a clue. Balch tried to preserve tall Douglas firs so that there would be trees between Wedgwood’s houses, and it appears that Balch contoured the course of NE 81st Street so as not to have to destroy its outstanding bigleaf maple, a tree which has grown up with Wedgwood’s history. Our Lady of the Lake Catholic Church, Seattle, archives & history info. Seattle University: A Century of Jesuit Education. Walt Crowley, 1991. Trees of Seattle, Arthur Lee Jacobson, 2006 (second edition.) Pages 245-46, notes on bigleaf maples. This entry was posted in Balch, ginseng farm, name of the neighborhood, trees and tagged bigleaf maple tree, Neighborhood History, Seattle. Bookmark the permalink.